Apple’s Earbuds and EarPods mightn’t be the best-sounding headphones around, but they come with every iPhone, and they’re tough enough to wrap up and keep conveniently in your back, unnoticed until you need them. And I would do exactly that, if the ’pods didn’t just drop out of my giant ears no matter how hard I jam them in. The EarSkinz are – like any good invention – simple and to the point. 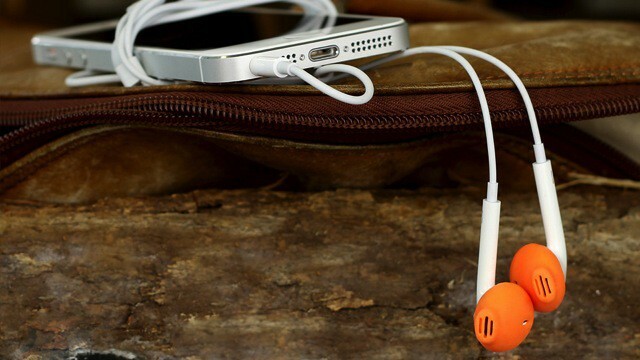 They come sized for the current EarPods or your old earbuds, and they add a thin silicone skin to the slippery white drops. The product page promises better sound too, thanks to the tighter fit and the jelly-funnel shape which apparently forces the bass into your ear more efficiently. But I don’t care about that – I’m just happy that I’ll finally be able to use earbuds without having to poke them bak in and adjust them every minute or two. Don’t get me wrong – I love my Koss PortaPros, but sometimes I don’t even want to carry those with me, and that’s when the buds and the EarSkinz will come in handy. Best of all, they’re like $11 a pair, and they come in more colors than Benetton sweaters.